Now here's a novel idea: rather than stripping the bark off trees to get to the wood underneath for building furniture, why not preserve the natural texture on the surface and incorporate it into the design? 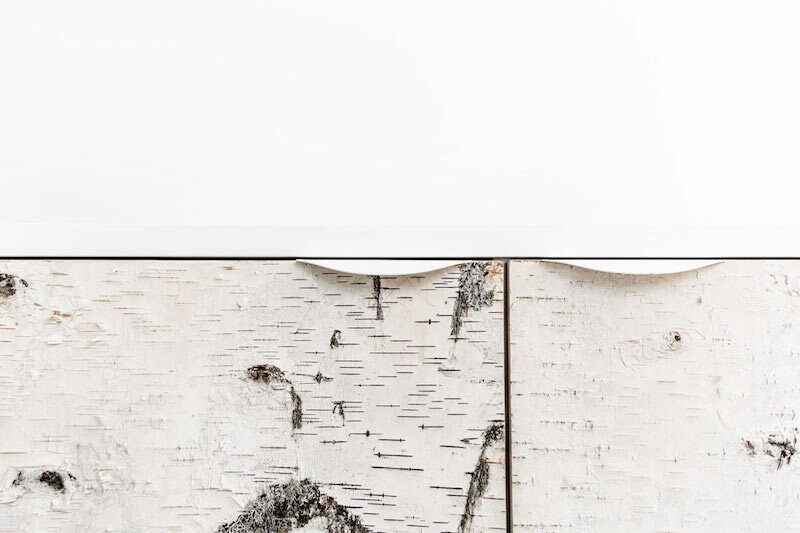 That's exactly what Vancouver-based brand Union Wood Co have been doing with their Birch Bark collection of storage cabinets. 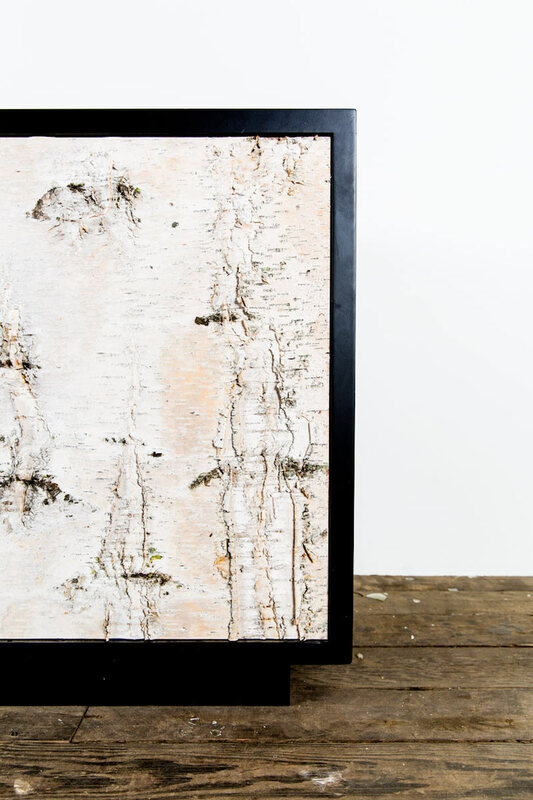 Each one has a wooden body lacquered in either black or white, with a front covering of authentic bark harvested from birch trees in Northeastern Alaska. Since the bark is taken from real trees, the surface of each cabinet has its own particular weathered, knotted texture. Every piece has it's own story to tell, and no two are ever quite the same. You can choose your own formulation: stick to a simple two-door setup, or incorporate various drawers and shelves according to your needs. The sizes vary, too, from little bedside cabinets all the way up to full-length, multi-compartment sideboards for the sitting room. Everything is custom-made to order and takes 8-10 weeks. Unsurprisingly for something so innovative and interesting, the prices are eye-watering: the lowest priced item, the bedside unit, starts at £1,035 before extras like drawers are added in. One to gaze at from afar, I think!